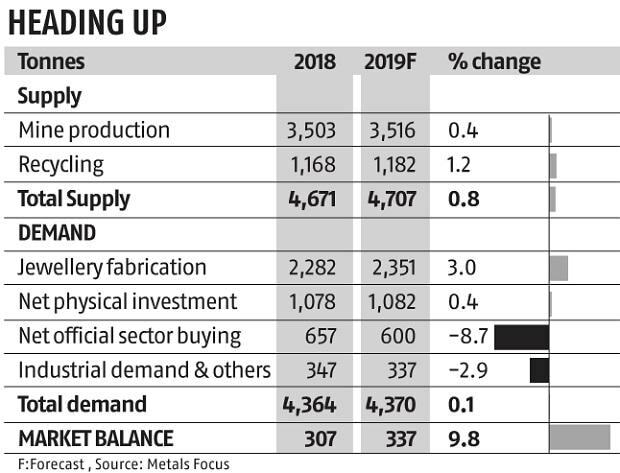 Metals Focus Director Nikos Kavalis said: “We expect US real GDP (gross domestic product) to slow in 2019 and 2020.” Among the factors supporting gold, Kavalis said, citing the Federal Reserve’s dovish stand, that policy rates were now expected to remain unchanged, as the overall global economic growth continued to face risks. The range, he said, was seen as $1,250 on the lower side and $1,400 on the higher. This meant the downside risk was 4 per cent, while the upside risk was 7-8 per cent. 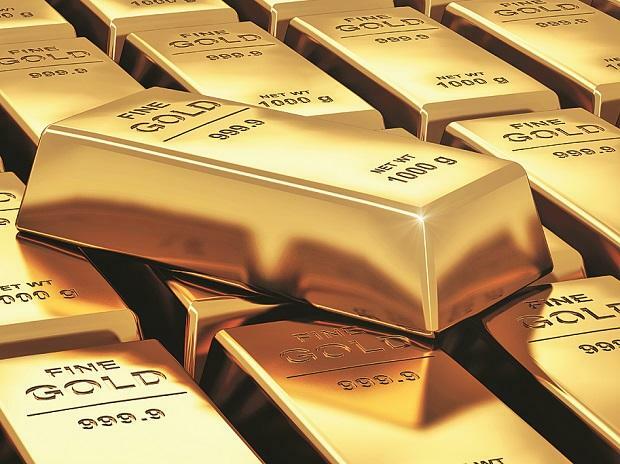 On the level of price going ahead, the report projected that gold would trade in a relatively tight range around $1,300 in the next six months. “On the upside, we believe prices will probably be capped at last year’s peak of $1,365, while ventures to levels as low as $1,250 can also not be ruled out. A more meaningful rally is then forecast to take place later in the year when we see prices testing the $1,400 mark,” the report said.